Islaam as a way of life strives towards performing certain actions in the congregation with other Muslims because this serves as a repellent for Shaytaan. 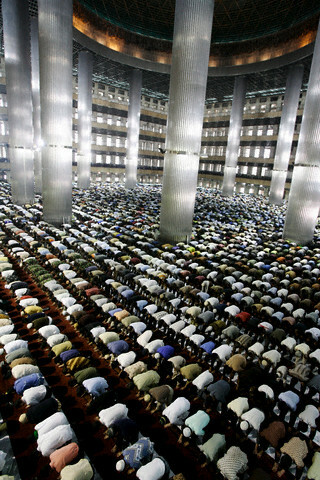 There are several forms of the Jamaa’ah, which are favored so that actions such as prayer are performed collectively. 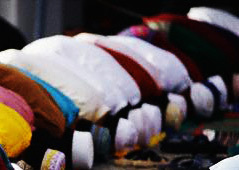 O Muslims, if this separating from one another is concerning everyday matters brought about by Iblees and his party, then what of the affairs concerning religion, or more so with serious issues like Tawheed, or its greatest pillar, the performance of prayer? Are these divisions not from Shaytaan? By my Lord, if only my people knew! -Reported by Aboo Daawood in his sunan (547), An-Nisaa’ee in his sunan (2/106, 107), Ahmad in his musnad (5/196) and others.I (al-Hilaalee) say, Its chain is hasan. -Reported by Aboo Daawood in his sunan (2607); Haakim (2/102); Bayhaqee (5/267); Ahmad in his musnad (2/186, 214); also reported by way of Amr ibn Shu’ayb on the authority of his father and from his grandfather back to the Prophet (sallAllaahu alaihi wa sallam). I (al-Hilaalee) say, Its chain is hasan. -Reported by Aboo Daawood in his sunan and Ibn Hibbaan (1664), Haakim (2/115). Also reported by way of Bayhaqee (9/152), Ahmad in his musnad (4/193) and by way of al-Waleed ibn Muslim who heard it from Abdullaah (meaning Ibn Zubair). He heard it from Ibn Mushkim who said, It was narrated to us by Aboo Tha’labah Al-Khushnee. Haakim said, its isnaad is Saheeh, adh-Dhahabee agreed with him. I (al-Hilaalee) say, It is as they both said. Excerpt from: “Protection Against the Plots of Shaytaan” by Shaykh Saleem Ibn Eed Al-Hilaalee, Pg. 62- 64.
interested masha’allah.. so 3 really isnt a crowd 🙂 its a break from Shaitan alhamdulillah. Im assuming this applies to women too?! MashaAllah, truly gives new meaning to the phrase ‘strength in numbers’. With regards to the protections mentioned in the book, none (from what I read) were gender specific. So as for the benefit of praying in jama’ah, and this being something which repels the Shaytaan, then this also applies to the women.